A rickety old carnival carousel is at the center of this left of center, noir comedy. For film fans who know this movie, it's safe to say that 'Pink Horse' is a underrated masterpiece. If you are unfamiliar with it, get your hands on a video copy as soon as possible! (see our video list). 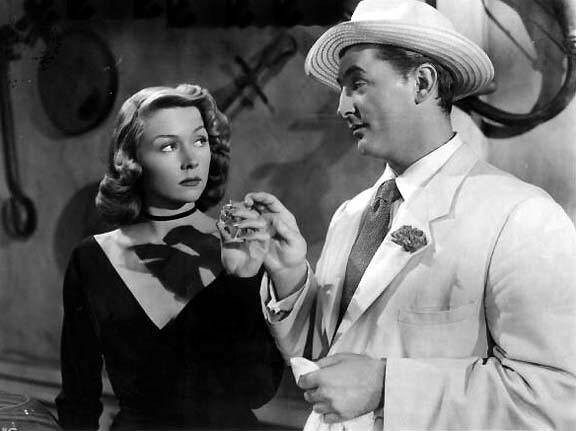 Taken from a novel by Dorothy B. Hughes, who also wrote 'In A Lonely Place' & 'The Fallen Sparrow', and a wonderful script by Ben Hecht, the dialogue, while dark and poignant moves along with a sense of humor not found anywhere else in the noir canon. Tension between the deadly and the comedic brings the viewer to the conclusion that everything is a bit off and that the unexpected will happen soon. Director Robert Montgomery also plays ex-G.I. Gagin, looking to revenge the death of his war buddy "Shorty''. Gagin's quest takes him to a small village in rural New Mexico, reaffirming the notion that murder & mayhem do not need the polluted city landscape to create Film Noir. Wanda Hendrix, as an infatuated indian peasant, gives her best screen performance ever. 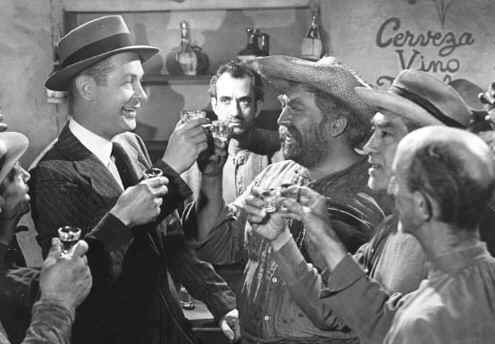 Thomas Gomez won an Oscar nomination for his role as 'Poncho' the owner of the carousel and Gagin's spiritual guardian. 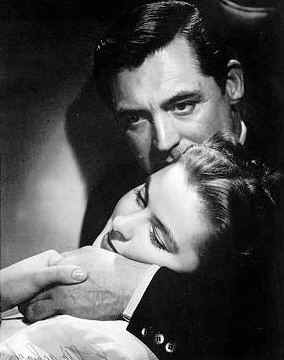 Of 'Notorious' , Hitchcock recounted years later: "I wanted to make this film about a man who forces a woman to go to bed with another man because it's his professional duty. The politics of the thing didn't much interest me, but I realized we had to have a reason for the Germans to be in Brazil. We thought of jewel mining, precious minerals, that sort of thing, and then one day I said to the Ben Hecht, "What about uranium?" and he shrugged and said he didn't think it mattered, that one MacGuffin was as good as another if we were really putting together a love story." The Origin of the MacGuffin: It might be a Scottish name, taken from a story about two men in a train. One man says, "What's that package up there in the baggage rack?" And the other answers, "Oh, that's a MacGuffin." The first one asks, "What's a MacGuffin?" "Well," the other man says, "it's an apparatus for trapping lions in the Scottish Highlands." The first man says, "But there are no lions in the Scottish Highlands," and the other one answers, "Well then, that's no MacGuffin!" So you see that a MacGuffin is actually nothing at all. 16mm The Selsnick Studios version in Good Condition. Shaper picture, but not as much as a collector's item as the RKO. Both the RKO & SELSNICK STUDIOS versions are available. Nick Cochran, an American in exile in Macao, has a chance to restore his name by helping capture an international crime lord. Undercover, can he mislead the bad guys and still woo the beautiful singer/petty crook, Julie Benson? Josef von Steinberg started the direction of "Macao". It is interesting to note that von Sternberg is a major influence in the development of the noir style. In fact he can be though of as 'A Grandfather of Noir'. In the definitive book ' FILM NOIR: The Encyclopedic Reference to the American Style' , the authors list a historic chronology of noir movies. The first movie we find on the list is his 1927 feature 'Underworld'. Von Sternberg's film noir legacy only includes 4 pictures, 'Underworld' (1927), 'Thunderbolt' (1929), ''The Shanghai Gesture' (1941) and finally 'Macao' (1952). In four decades and only four films, no other director made a larger impact with so little effort as Josef von Sternberg, a master of German cinema. An RKO original print 16mm in Very Good Condition. 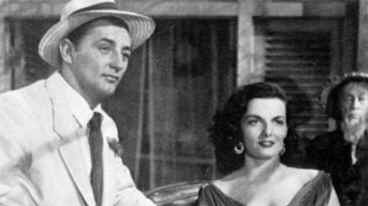 "The Big Heat" has one of the most gut wrenching scenes found in film noir. Lee Marvin throws hot coffee into the face of Gloria Grahame. Known in real life as 'the Lady with the Novocain lips', Grahame lets out a scream that can be heard in the Van Allen Belt. 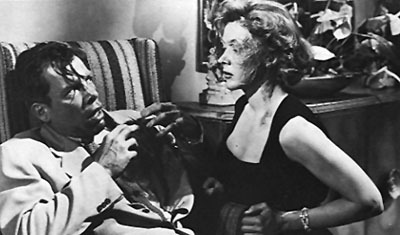 'The Big Heat' must rank along with Phil Karlson's 'The Phenix City Story' and Robert Aldrich's 'Kiss Me Deadly' as masterpieces of what Paul Schrader called "late noir'. Like 'Kiss Me Deadly', it features an almost psychotic protagonist, obsessed cop Dave Bannion (Glenn Ford). Like many of the late film noirs, it features a blistering critique of public corruption and incompetence, and offers instead a highly conservative, almost fascist populism. Like almost all of Lang's films, it is superbly paced, well acted and blessed with a laconic, witty, taut script. It also has some of the great 'shocks' in all of cinema. Ex - G.I. & New York gambler Nick Blake (John Garfield), returns home from WWII to find that both his girl & and gambling operation have been taken over. After extorting a substantial payoff for his investment, he and a henchman, Al Doyle, leave for California for a vacation. In L.A., con man Doc Ganson convinces them to assist in a scam scheme that involves a target , Gladys Halvorsen ( Geraldine Fitzgerald) . Blake falls for the attractive widow and all hell breaks loose. 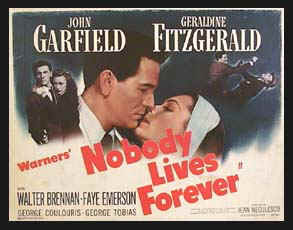 Originally Humphrey Bogart was to star in 'Nobody Lives For Ever' after he finished 'To Have & Have Not'. Plans changed and Garfield got the role which was probably better suited for him. Collecting and preserving 16mm films can be extremely rewarding. For film fans, there is still nothing that can grab you like high intensity light projected through film. Projecting presents a warm and rounded picture not found in video or digital imaging. Watching Film Noir movies on your own big screen in your home is thrilling. 16mm is still an affordable medium, and vintage film if maintained and stored properly will gain value and can be seen as an investment with a modest profit later. Storage & maintenance of film is not rocket science and can be done quite easily. Although, getting started in this hobby can be confusing. Please feel free to contact us, we can help. Remember that 'The Knitting Circle" is a resource here for your benefit.